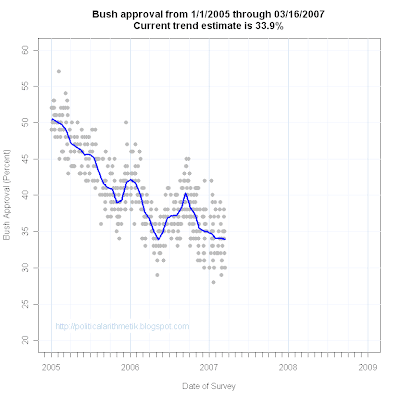 New polls by Time and Newsweek released over the weekend bring the estimated approval of President Bush to 33.9%. Both polls came in well below the previous trend estimate of 34.9% resulting in a substantial shift in the estimate. Time's poll, taken 3/9-12/07 found approval at 32%, disapproval at 61%. 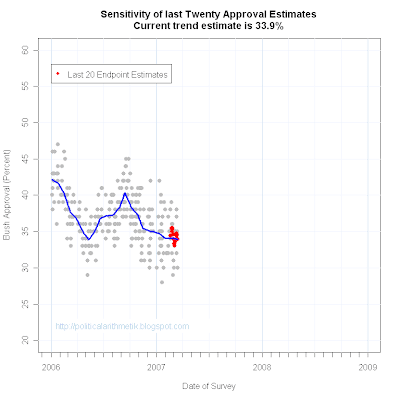 Newsweek's was conducted 3/14-16/07 has approval at 30%, disapproval at 60%. 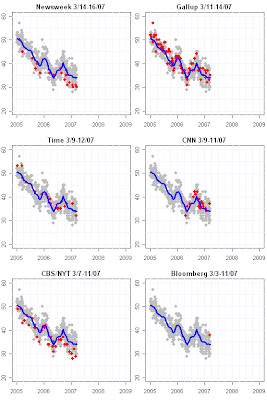 A fuller explanation of these graphs is available here. 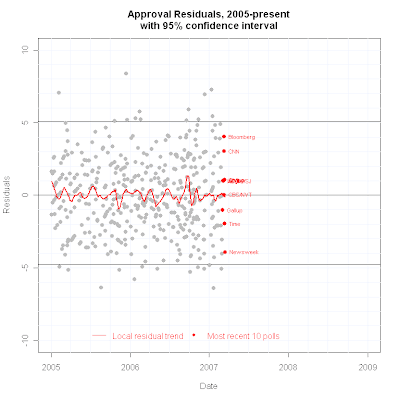 The residuals for recent trend estimates remain well behaved, and the two latest polls are well within the 95% confidence region. 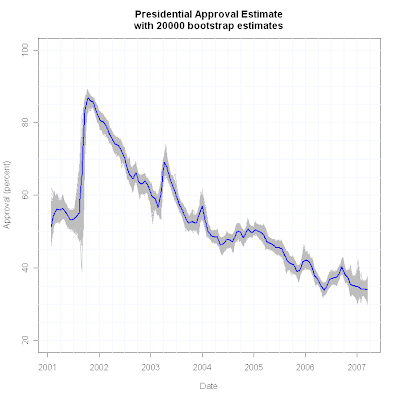 Estimated approval has bounced around about as much as usual, ranging between 33% and 35% for a while now. Is Bush the New Truman?